A versatile thermal glove with conductive fleece forefinger and thumb allowing it to be used with touchscreen devices. 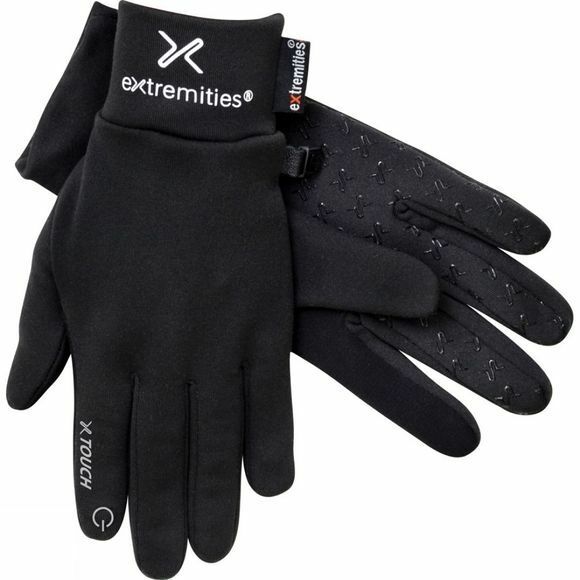 The X Touch Glove from Extremities can be worn on its own or as a baselayer glove in cold weather – no more cold fingers when trying to use a smartphone or GPS device. Made using a lightweight, stretch fabric with a soft touch brushed back, it is quick drying and has the added benefit of a silicone print palm for extra grip.